First, you’ve got your basic pallet-on-a-forklift, which has deluded legions of workers into thinking it is a bona fide work platform. Then you’ve got the motor running with no one at the controls. 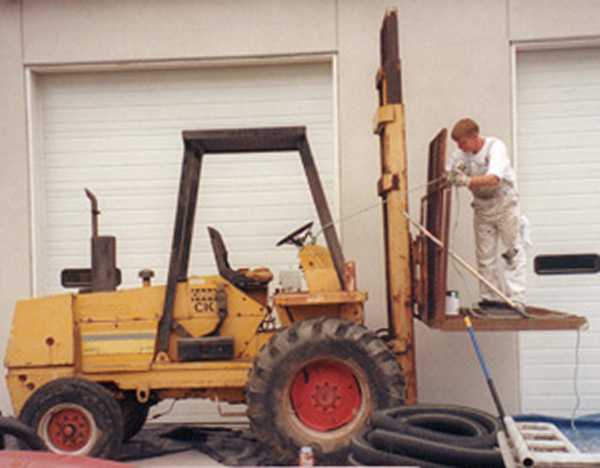 And then, to elevate this to the Rocket Scientist of the Week category, the guy on the pallet is using a couple of ropes to “control” the up and down levers. I can’t imagine anything that could go wrong with this technique, can you?